The Employee Benefits Division of Eide Bailly, the state’s pre-tax plan administrator, became a separate company called 121 Benefits on January 1, 2016. The same debit card – the Benny card – will continue to be used. The benefits, direct deposit process, substantiation requirement, and deadlines for submitting claims will all remain the same. The old phone, email, address and website will all forward to the new contact information. The pretax plan includes the Medical/Dental Expense Account (MDEA), Dependent Care Expense Account-Daycare (DCEA), Transit Expense Account-Parking (PKEA), Transit Expense Account-Bus Pass/Vanpool/Mass Transit (BVEA), and the Health Reimbursement Arrangement (HRA) for both the State of Minnesota and MnSCU. February 29, 2016, is fast approaching! It’s the deadline for filing reimbursement requests for the 2015 plan year pre-tax accounts (MDEA, DCEA, PKEA, BVEA). All claims and documentation must be successfully faxed, emailed, postmarked or dropped off (during business hours only) at 121 Benefits’ office (formerly known as Eide Bailly) by February 29, 2016 to be considered for reimbursement. We recommend you keep a copy of your submissions and save all fax or email confirmation pages. When mailing your request consider sending it by certified mail or return receipt to verify that it reached 121 Benefits on time. If you contributed the full amount of your 2015 MDEA election, up to $500 of unused funds will automatically carry over to the 2016 plan year. You did not need to make a 2016 MDEA election to receive the carry over. As of January 1, 2016 reimbursement for 2015 expenses must be made by paper or electronic filing to 121 Benefits. You cannot use your Benny card to seek reimbursements for 2015 expenditures after the start of the new year. Eligibility of a newly enrolled spouse or dependent child must be verified before they can be covered by your SEGIP insurance. SEGIP sent a letter on November 16, 2015, to every participant who newly enrolled a spouse or dependent child during the Open Enrollment period for 2016. A follow-up letter was mailed the week of December 21, 2015, to employees who have not responded or have not provided all documents required to verify the eligibility of a spouse or dependent child. 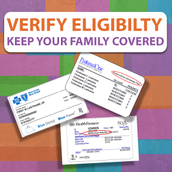 You will not be able to re-enroll those family members until the next Open Enrollment or qualified life event. 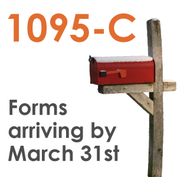 MMB will mail you a new federal tax form to your home address by March 31, 2016 if you were full-time or enrolled in health coverage through SEGIP at any point during 2015. Form 1095-C, Employer Provided Health Insurance Offer of Coverage, includes information about the health coverage offered to you, and if applicable, your spouse and dependents, through SEGIP. MMB is also required to give this information to the IRS. IRS FAQs provide information about the use of these forms to file your taxes. Most importantly, these FAQs indicate that individual taxpayers will generally not need this form to complete their taxes this year. A separate form will not be mailed to a covered spouse, former spouse, or adult child. As the recipient of the form, you should provide them a copy if they request it for their records. Anyone receiving an offer of health coverage or coverage through more than one provider or employer will receive multiple forms. Please ensure your mailing address is current in Self Service. More information is available on the IRS website and MMB’S FAQs. You may also contact SEGIP at 651-355-0100 or segip.mmb@state.mn.us. Know what Primary Care Clinic and co-pay (or cost level) you are enrolled in for 2016. Members may receive a new medical insurance card after Open Enrollment or after changing clinics. 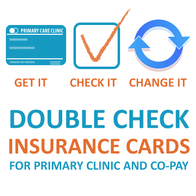 When you get a new card, remember to check it to make sure you have the Primary Care Clinic you expected. If you want to change your Primary Care Clinic at any time. Call the customer service phone number on the back of your medical ID card. You may change your clinic once each month. The change is effective the first day of the next month. For example, if you change your clinic on March 2, the change is effective on April 1. Retroactive changes to clinic selections are not allowed. Use the clinic directory to find a clinic, the cost level, and the clinic number. Help for living and working well is available when you need it, at no cost to you. You’ll find real life solutions to help stick to your goals in the new year. Build skills that work long-term and change your life. These programs are part of your benefit package. There is a lot going on. LifeMatters is our employee assistance program. Get support for real life situations —- financial, legal, relationships at home and work. Diabetes Medication Therapy Management and lifestyle program is for employees with diabetes. Get a one-time incentive, assistance with medication copays, and health coaching. Prevent is a 16-week online program for individuals at risk for diabetes. It’s a whole new way to get online coaching that works. Reduce your risk of getting chronic disease like type 2 diabetes and heart disease. Make small changes that stick and have a big impact. StayWell is our wellness vendor who offers the annual health assessment and one-to-one coaching. Get a personalized wellness plan and health coaching year round by phone and online. Build your skills one choice at a time. WorkWell supports the development of effective worksite wellness programs within state agencies. Agency wellness champions get involved to create a workplace culture that encourages healthy intentions and a productive workforce. Beginning February 1, 2016, our current insurance carrier, CNA, will no longer accept new applications for enrollment in group long-term care insurance (LTCi). Members who are already insured under the CNA policy may continue their coverage after February 1, 2016 as long as they continue to pay premiums. Premiums will continue to be taken from your state paycheck provided you wish to continue the coverage. New hires, newly insurance eligible, and others who wish to enroll in LTCi must submit their application to CNA prior to February 1, 2016. For other questions, contact SEGIP at segip.mmb@state.mn.us or 651-355-0100, or CNA at its M-Pel website or call them at 1-888-653-9600. Do I really need this medical test or treatment? What are the risks and benefits? What happens if I don't do anything? Looking for ways to have an informed conversation with your doctor and other health care providers about choosing what health care you need? Consumer Reports’ Making Healthy Choices program offers easy to read brochures, compelling videos, and a handy iPhone app that all help answer your questions. Prevention is a place to start. Doing what you can to stay healthy, including getting vaccines, eating a healthy diet, getting the right cancer tests, and more, can help prevent diseases. This Making Healthy Choices article has answers to common questions. Become an active participant in your health care and improve your health. This newsletter is for informational purposes only and is not a plan document nor is it legal, medical or retirement advice. Consult a qualified professional before making a decision.